7 Chakras And Their Meanings, And The Benefits Of Balanced Chakras. In this article, I will discuss the 7 chakras and their meanings and reveal how they relate to your life and well being. First of all, let’s take a look at the chakra system and exactly what chakras are and understanding chakra relevance to you. The name Chakra comes from the Sanskrit and means a disk or wheel. A Chakra is an energy vortex that forms part of your energy field. The Chakras, these energy vortexes, run along your body in specific areas. Basically when chakras are being spoken of they usually refer to the Seven Main Chakras. Just as you have a physical body, you also have an energy body and this is created from inter-penetrating layers of energy emanating from these spinning wheels of light. There are hundreds of chakras throughout your body, positioned at the endocrine glands and nerve plexuses, including seven positioned up the spine which are the main 7 chakras of the body. These run from the first chakra, the Root Chakra, at the base of the spine through to the Crown Chakra at the top of the head. Each of these chakras looks like swirling wheel of energy. Each Chakra is where consciousness, your basic spiritual nature, and the physical world, your body and mind, meet. The force associated with the term, chakra energy, is called, Prana, which is defined as the Essential Life Force. Chakras are conduits for spiritual information to flow to you from your higher self which is actually the core of who you are. They also process information from your physical life experiences. This describes the importance of Chakras and their effect on your health and well being in every aspect of our lives. Each of these vortexes of energy corresponds to extensive nerve centers in our physical reality the body. Every one of the main chakras, the principal seven chakras, is comprised of bundles of nerves as well as your main organs. Your emotional, psychological, and spiritual dispositions are all related to these energy centers. These chakras are in constant motion as the term vortex implies. It is important that they do so without impediment. Because of this, it’s imperative that they remain open and aligned as well as fluid in their rotation. If a blockage of any nature is present the energy will cease to flow properly. A good example would be a drain your toilet bowl. If you allow something other than the appropriate material to be flushed you will experience a most unpleasant backup. If unattended this backup will create a very unwanted result. this holds true for your spiritual nature and your physical being as well. Unlike a bathroom fixture which can be accessed easily and cleared readily, your Chakras may not be easy to clear. 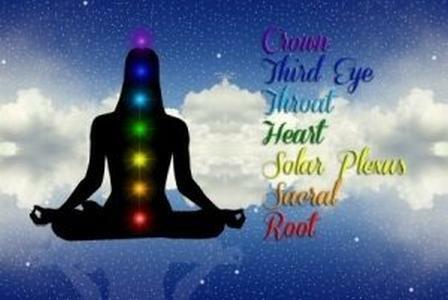 If you are experiencing blocked energy in any of your seven chakras it can result in illness as well many other emotional and spiritual afflictions which impress the importance of balanced chakras. Keeping your chakras open and unblocked may be a challenge on the first examination, however not so challenging once you have an awareness of exactly how to unblock chakras. One can learn how to clear blocked chakras as well as techniques for opening chakras using meditation for chakra healing and meditation for opening chakras. Considering that the body, spirit, and mind are closely related, an exhibit of an imbalance in one of these areas will definitely be noticed by all the centers. 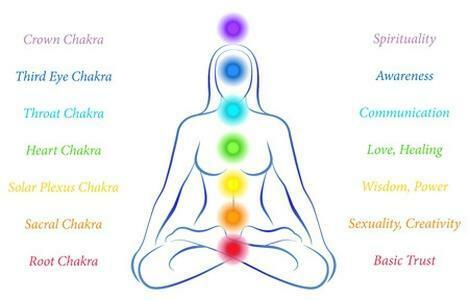 Once your chakra body is aware then aid can be offered by the others in order to bring it back into balance. You will find that when trauma affects one part of our being like a virus or issue with an organ, one of the chakras is affected. If you have an awareness of the Charkas and the area that each is responsible for you can focus on clearing this particular chakra thus helping to occur much faster. Also, a chakras test carried out by a trained reader will give you the full story. on how healthy your system is and from there you can do the work required. First Chakra – Also called the Root Chakra is located in the tailbone area at the base of the spine. Because it is responsible for grounding and survival issues like a root chakra imbalance can have effects on your life physically emotionally and spiritually. When this happens a root chakra healing is in order. One of the best ways to have a stable life is to ground and practicing a root chakra meditation is one of the easiest ways to do so. Second Chakra – Sacral Chakra – Is located in the lower abdomen about two inches below the navel and deals with abundance, well-being, pleasure, and sexuality. Because this chakra is described as the heart of pleasure, enjoyment, and creativity it is understandable why any issues in regards to sacral chakra blockage or imbalance must be dealt with quickly. Unblocking sacral chakra obstacles will help become a warm open individual that can talk naturally about your emotions and sexual nature. Third Chakra – Solar Plexus Chakra – Is located in the stomach area in the upper abdomen and deals with issues like self-worth, self-confidence, and self-esteem. Fourth Chakra – Heart Chakra – Is located just above the heart and impacts issues of love, peace, and joy. Fifth Chakra – Throat Chakra – Is located in the throat and revolves around the areas of the ability to communicate, self-express, truth and emotions/feelings. Sixth Chakra – Third Eye Chakra – Also called the Brow Chakra is located between the eyes in the forehead and deals with such emotions like imagination, wisdom, intuition, thought, decision making and clairvoyance to name a few. 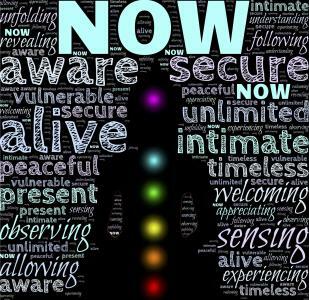 You will find below two links to more information about Chakras to help you along your awakening. Learning how to open chakras for beginners is very important. There are some dangers of opening chakras to much or too little as well as benefits of balanced chakras. It is crucial to know what each of the different chakras represents as well as what we can do in the way of chakra cleansing and balancing in order to keep the energy conduit clear and flowing freely. There are definite benefits of balanced chakras however one thing you must be aware of is that there are some inherent dangers of opening chakras too much or too little as well as. It is crucial to know what each of the different chakras represents as well as what we can do in the way of chakra cleansing and balancing in order to keep the energy conduit clear and flowing freely. One way to make sure that all is ok is by undergoing a chakra reading which in essence is a chakra test that will determine whether any work has to be done in the way of balancing or opening. In today’s episode of Unlocking Your Truth, 7 Chakras And Their Meanings The Basics, we talk about the purpose of Chakras and how they affect our lives and reality. Truths and myths about chakras. Unlocking Your Truth is my weekly radio show where we discuss all things metaphysical like 7 Chakras And Their Meanings The Basics! And much more! The show airs on CIVL 101.7 FM at 7-8PM (Pacific Time) every Tuesday evening or live-stream the show at CIVL.ca. During each of our Unlocking Your Truth episodes, we also answer email questions from our listeners as well as occasionally do readings live on air for our call in guests. You can call in 604.504.7441 ext 4142 and ask anything you want. Pingback: fourth chakra closing is used as a survival technique by many people. I do beleve that you dont have a f**k**g clue about how to open your chakras or what happens when you do. It would be interesting if you did send me an email tho. On what is supposed to happen and, more importantly how to deal with the shitstorm of atttacks that happen if you do. It would help me alot if you where of any help, but i dont have my hopes up since you probably only do this for money. Pingback: How To Develop Patience - The Fourth Chakra | Heart Chakra Awakening! Pingback: No Sense Of Self Can Lead To Personal Pain | Maintain A Sense Of Self!